Thank you for sharing Allie! 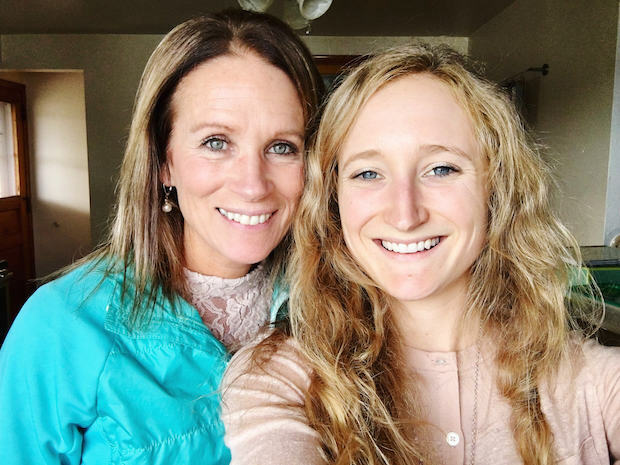 That picture of you and Mom is gorgeous!!! I have never tried a food kit delivery service, but I have to say you have definitely peaked my interest. As far as a favorite candle scent, probably lilac (surprise surprise), and b&bw maple cinnamon pancakes!! Haha seriously to the chewing and peeing and so much more destruction! But all worth it! I hope you and dad try a meal kit delivery service! It is super cool! You have great taste in candle scents! I hope the I have never tried a meal deliver service but a couple friend of ours had Alex and I over for dinner one night. They made a meal from their recent Hello Fresh order and it was delicious! I’m curious to know which service you like best! Give me all the candles, but especially during fall and winter! It makes me feel like my apartment is more put together if I have a candle burning. 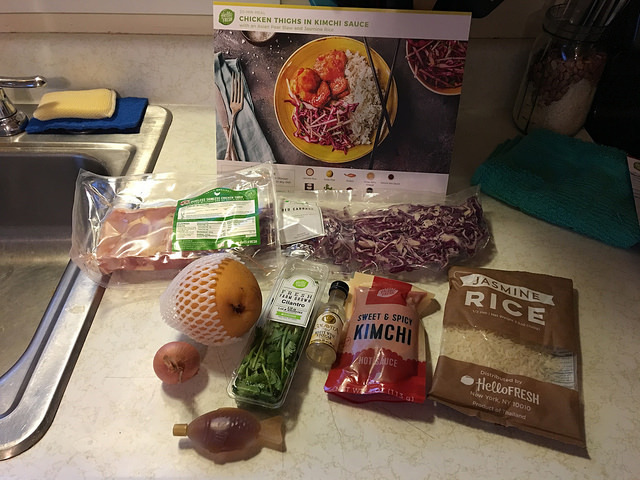 Yay for HelloFresh! I’m so glad you liked it when you had it with your friends. If you ever get a chance to try it, I’d definitely recommend it! We are trying HomeChef on Thursday and I’m pumped!! YES to all the candles! I so agree! 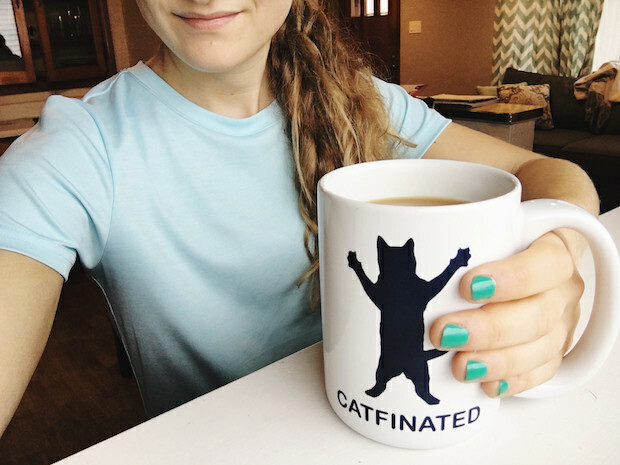 I love your cat mug! I have a pumpkin waffle scented candle from Bath and Body works that I really like. Also Aldi has some good scents but I’m not sure how well they diffuse when you burn them (I’m kinda skeptical of Aldi candles, not sure anything beats Bath and Body Works). We have never tried a meal delivery kit. Clay likes making up his own recipes. Thank you!! That is my favorite mug lately! The pumpkin waffle candle sounds amazing! I bet it smells so wonderful, especially this time of year! 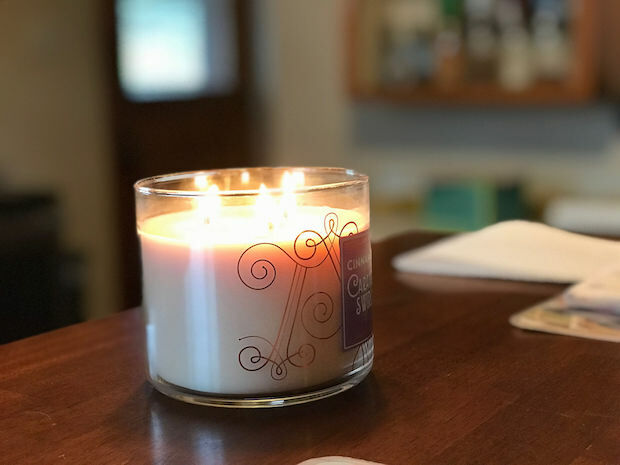 I agree with you on Aldi candles vs. B&BW. I don’t even think Yankee Candle can beat Bath and Body Works! Haha! It definitely counts 😉 I am so jealous that’s all the destruction they caused in your home! 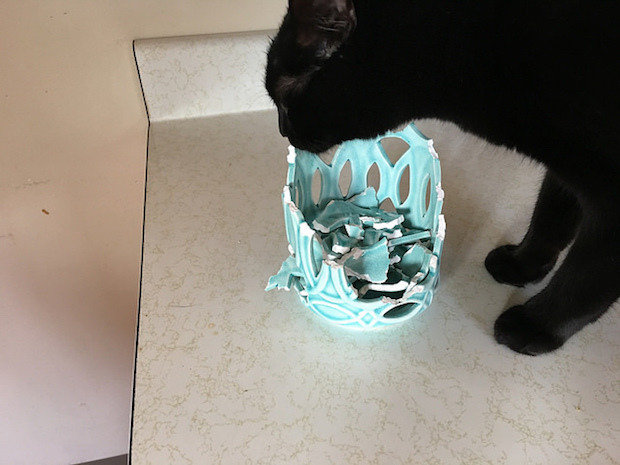 This made me laugh because I can completely relate to it–Zelda destroys everything she can. She chewed through our Christmas tree lights, as well as fairy lights that were hung in our bedroom. She’s knocked a water glass off a counter, and jumped onto me when I was taking a drink–chipping my tooth–and also has shredded more toilet paper than I’d like to admit. Additionally, she’s torn up our carpet and is obsessed with anything she can knock off my dresser or our desk. Pets sure are handfuls, haha, but I wouldn’t give her up for anything! It’s totally my favorite mug! 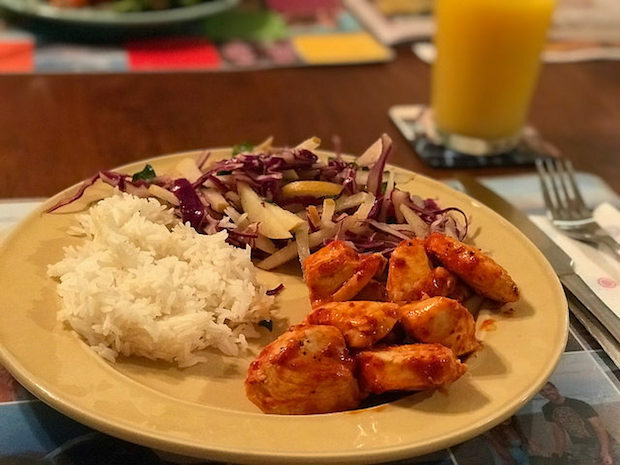 I can’t believe how amazing some of those meal kit prices are for first timers! They definitely sucked me in, haha! Definitely send me that Degusta Box code!! I’d love it! Oh my goodness, Oreo has destroyed so many things. Well, I take that back… he’s only destroyed a couple of things (he chewed up the arm of a couch when we first adopted him and that was probably the worst). 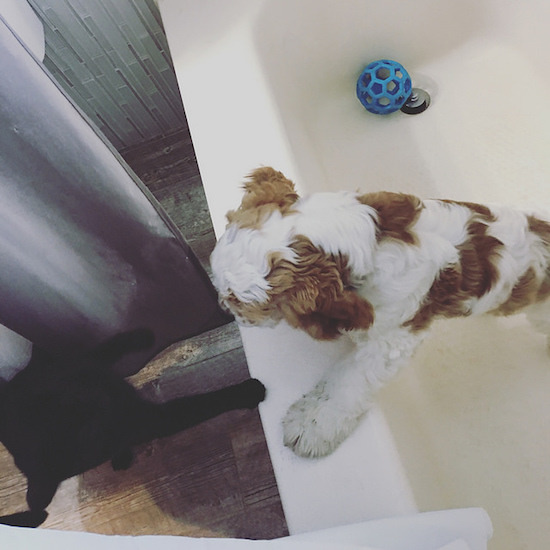 More than anything, he’s a scavenger. We can’t leave any food out anywhere that he can reach (including counter tops). You would think that we don’t feed him, haha! I haven’t tried home delivery food services before, but I’ve heard good things about them. I like your idea of trying a bunch of different ones and picking a favorite! They really do generally have great deals for first time buyers so that’s a great idea!